No. 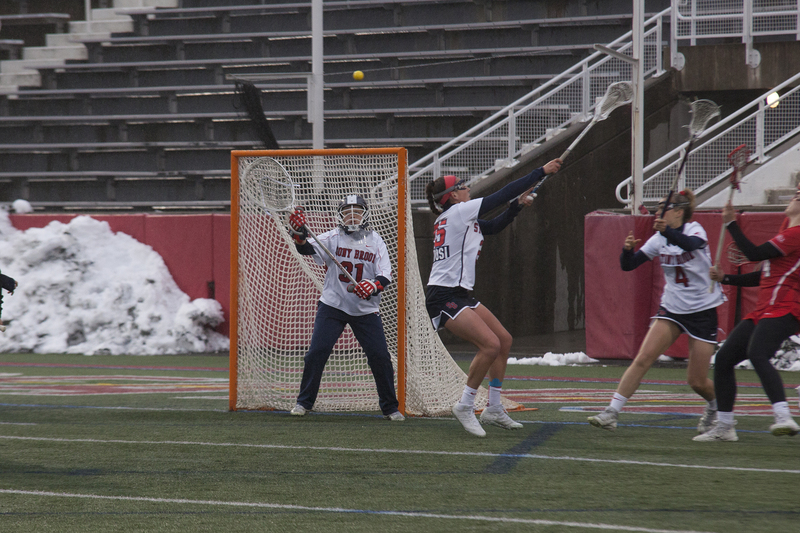 1-seeded Stony Brook Women’s Lacrosse has been one of the most powerful offenses in the country since head coach Joe Spallina took over in June 2011. The team has been atop the offensive statistical rankings for years, and the offense has helped the Seawolves become a national powerhouse. However, the team’s defense has been dominating, and doesn’t get nearly enough attention. The team has been ranked as the number one scoring defense in the country all but two years since Spallina has been coach — his first season in 2012 they were ranked 14th, and the 2016 season they were ranked second. Spallina has relied on two members of his team to control the defense for the last few years — redshirt-senior defender Brooke Gubitosi and junior goalkeeper Anna Tesoriero. The team put on a defensive showcase against then No. 20-ranked Denver to obtain the number one ranking in the country the following Monday. Despite that, it seems like the team can flip a switch on defense so quickly and shut down its opponents. But that is not always the case. The team has taken what Spallina said to them and rolled with it ever since. The Seawolves have given up less than five goals in three of their past four games and are one of the two undefeated teams in the country in the top 20. Once the defense gets hot, it’s difficult to stop them. The defenders are motivated each practice to make themselves better because they know the moment they tense up in training, their coaches will get on them. Stony Brook gives up an average of 6.09 goals per game, according to NCAA.com. The team has averaged five to six goals against per game since Spallina was hired. The team looks to continue its undefeated streak and lockdown defensive play on Friday, April 13 with a home game against Johns Hopkins.